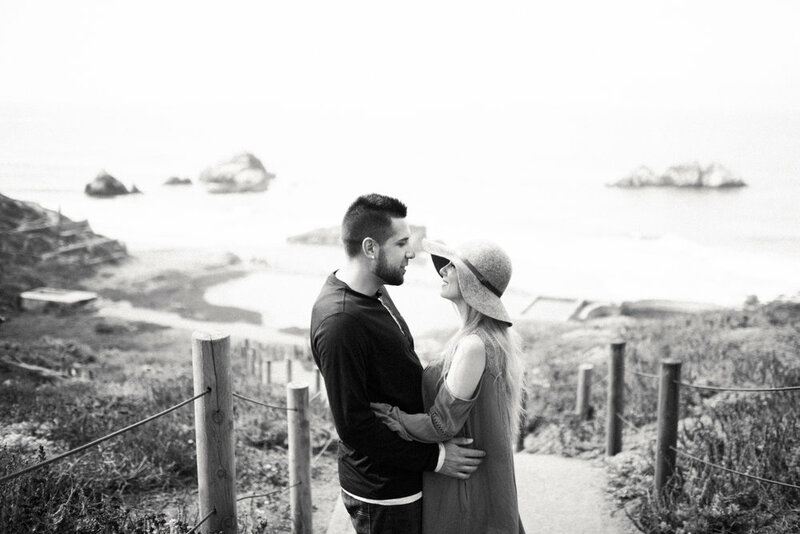 Eden + Greg were so rad and totally gave me the inside scoop on San Francisco. They taught me that my Kentucky driving education wouldn't get me anywhere fast in The City by the Bay and that shooting at golden hour means clawing your way through massive crowds. We met up at the Sutro Baths ruins that used to be an old bathhouse and pool complex overlooking the Pacific in the late 1800s. The place burned down in the 60's and has some awesome balance beam-like areas to explore. We finished our session at Battery Spencer overlooking the Golden Gate Bridge and I'm so grateful they put up with my out-of-towner-ness in wanting to shoot there.